1. Working with time and groove in creative ways (intermediate/advanced): Good Rhythm is the most important part of being a musician, and everyone can make it better! 2. Right hand technique (intermediate/advanced): The bedrock of flatpicking! 4. Playing with other musicians (all levels): If you play bluegrass or folk music, it's gonna happen at some point! 5. How to map out the guitar fingerboard (intermediate/advanced): Demystifying the forest of all those lines and dots. 6. 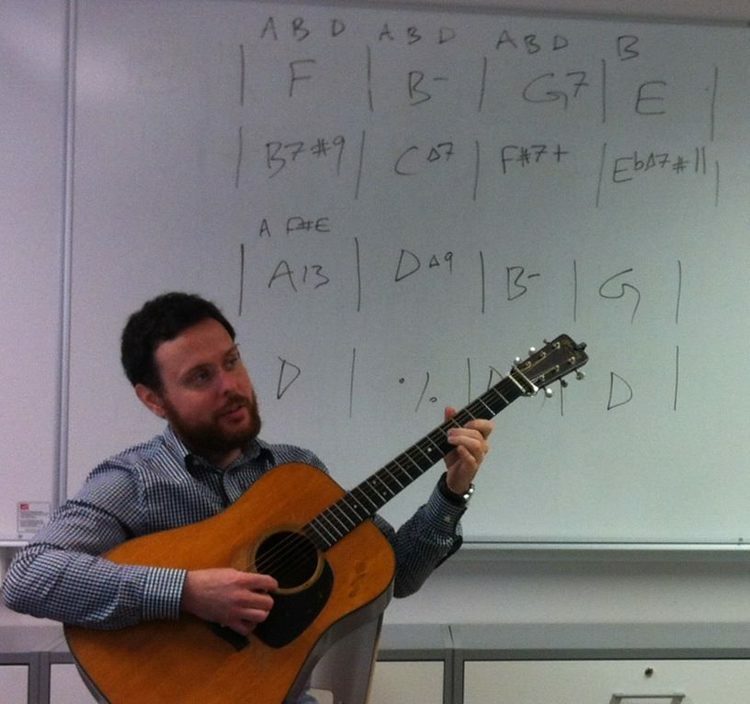 Tune writing workshop (intermediate/advanced): Today's brand new tunes are tomorrow's standards!